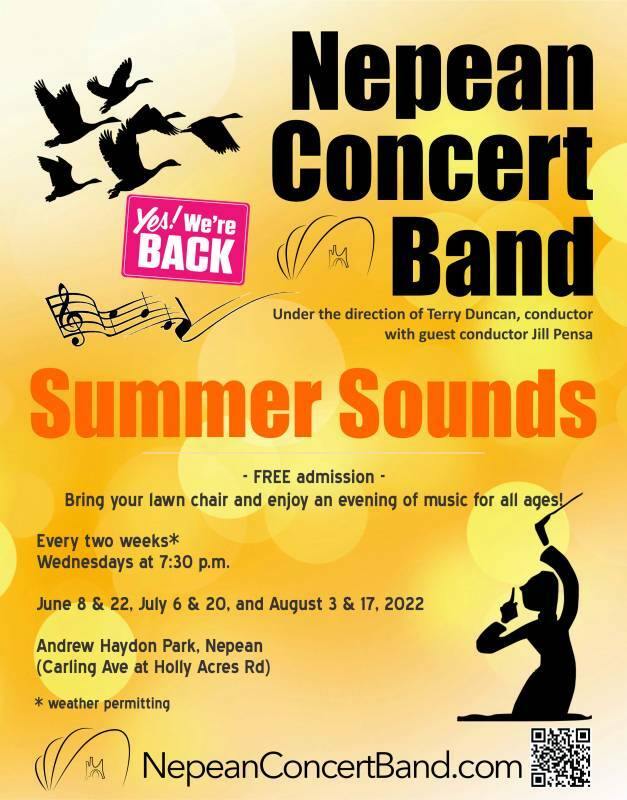 For many years, the Nepean Concert Band has been busy in the community, playing at various Ottawa-area landmarks including the Canadian War Museum and Parliament Hill, for festivals and special occasions (Canada Day, local Italian and Chinese festivals, and many others), at seniors residences, and at our popular summer concerts at Andrew Haydon Park. Our annual concert series began in 2012 and features four concerts every year: a fall concert, one with a Christmas/holiday theme, one in the winter (February or March) and a final concert to prepare you for the summer concert series. Tickets to our concert series are $10 per person (or if you’re under 12, they’re free! ), and you’ll hear music you won’t typically hear from other bands in town. We encourage everyone (young and young-at-heart) to come out and listen. More people at our concerts means more people enjoying themselves, and that’s what we love to see!